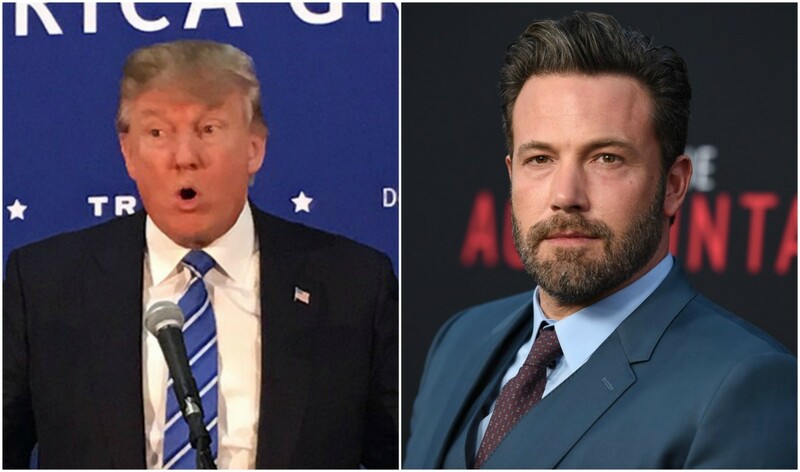 By Matt Juul·	 1/2/2017, 11:12 a.m.
Don’t expect to see Ben Affleck at any of Donald Trump’s Inauguration Day festivities this month. In a new wide-ranging interview with The Guardian, the Live by Night star and ardent Democrat opened up about the time he met Trump at an event during Milan Fashion Week. As expected, Affleck wasn’t really impressed by the businessman turned president-elect. The actor and director went on to talk about a conversation he had with Marty Brest about the real estate mogul. The filmmaker revealed to Affleck that he had to create a cameo in one of his movies just for Trump in order to use his building as a shooting location. As for Affleck’s political ambitions, he seemed to walk back his comments on liking the idea of running for office, which he stated during a recent discussion with the New York Times. Affleck told The Guardian that he “really wouldn’t want to” enter the world of politics due to the nature of fundraising for campaigns.